1800 jobs and accommodation for more than 100 residents to be created in Ulyanovsk TekhnokampusGovernor Sergey Morozov announced this information within his annual Investment Message at the plenary session of the forum of allied municipalities on 2 April. 500 representatives from 72 regions of the Russian Federation to participate in preliminaries for VII National WorldSkills Russia Final in Ulyanovsk regionFederal competitions will be held in the region until 23 April and will have four age categories - Juniors: 12-14, Juniors: 14-16, Main Group: 16-22, and Skills of the Wise: 50+. The events are to take place at the aviation college - the Interregional Center of Competences. The main spheres will include transportation and logistics such as automobile technology, heavy vehicle technology, aircraft maintenance, autobody repair, and car painting. Nemak Rus plant in Ulyanovsk is to increase its production volumesGovernor Sergey Morozov discussed plans for development of the enterprise with director of the plant Anatoly Luzgin. 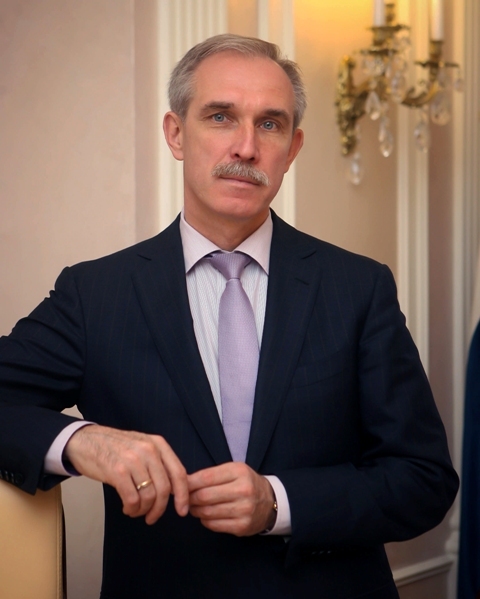 Sergey Morozov presented Ulyanovsk region's economic and investment potential in AustriaThe delegation of the region arrived in Vienna on 25 March. One of the first business meetings took place in the Economic Chamber before the Day of Russian Regions. Investment potential of the Ulyanovsk region was presented to the management of the organization that coordinates activities of Austrian business community at the international level. New production line of modern blocks opened in Novospassky DistrictGovernor Sergey Morozov participated in the official launch of the production unit on 18 March. I am glad to welcome you on the site of the Governor and the Government of the Ulyanovsk region. Nowadays, the life of modern society is impossible without the development of information technologies. The Internet as means of communications plays a key role in civil society formation and is an attribute of openness and transparency of the government bodies. Our site enables users to receive the most fresh and full information about activity of the Governor of the Ulyanovsk region, work of the regional authorities, and the most important events occurring in our region. Here you can address directly to me with questions and suggestions, express your opinion. I hope this site will be interesting and useful for people not only from Ulyanovsk, but also from other regions of Russia and from abroad.